Although it's not official yet, it's clearer than ever now that AJ Styles vs Randy Orton is happening at WrestleMania. The Phenomenal One challenged Randy Orton to a match at WrestleMania. It's been teased over the last couple of months, with Randy Orton pinning AJ Styles on occasions such as Elimination Chamber. Then, when AJ Styles was interviewed and asked about Kofi Kingston, he felt he was deserving of a WWE Championship opportunity. Randy Orton, not impressed at all, questioned AJ Styles' desire, telling him that the fact that he was talking about someone else's opportunity explained why he took so long to get WWE. In the segment on SmackDown, they actually had quite some good banter, taking shots at one another. 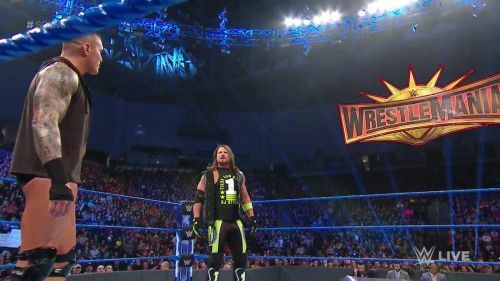 It was a better promo than most people would have thought, and it ended with AJ Styles issuing a WrestleMania challenge and doing the traditional sign pointing (That's really as official as it can get). Here's why the blockbuster match is happening at WrestleMania. Could it be possible that WWE would make a match solely for one spot? 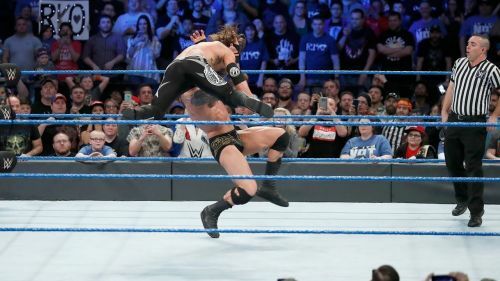 For years now, we've all wanted to see Orton vs Styles solely to see the Phenomenal Forearm-to-RKO spot. It's one that's bound to happen, and they made sure to cleverly avoid it in their first meeting on SmackDown a couple of years ago. They did tease the spot, but made sure that they reserved it for a bigger stage. Remember, WrestleMania isn't just about big matches, it's about big moments. There's no doubt that this could get a massive pop in front of over 80,000 people. Last time they met, it was billed as the "biggest match in SmackDown history", and they did quite a good job, but it was clear that they didn't give a 100%, and it was for a day like WrestleMania.